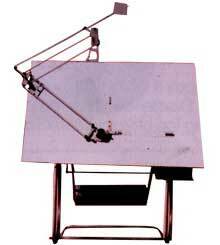 We provide Universal Drafting Machine, which is manufactured from quality components. Appreciated for their rigid construction and corrosion resistant nature, these Universal Drafting Machines are highly demanded in various industries. We are counted as one of the leading Manufacturers and Exporters of Vertical Universal Drafting Machine.